This is my favorite reason to save during Sale-a-Bration which ends March 31st. Both Starter Kits are shipped with FREE SHIPPING! The craft bag is only offered in the Starter Kit. It’s a fantastic craft bag! You will earn rewards available to demonstrators. When you join my team today, you will receive loads of inspiration from our Team FUNatics Facebook group. We also stay connected through Team meetings and go to conventions together. You have no obligation to ever sell or share with anyone and no obligation to buy another thing if you don’t want to. If you want to build a business, I can help you do that too. We belong to a larger team of over 250 Demonstrators. We support each other and share ideas. We’re one big family. 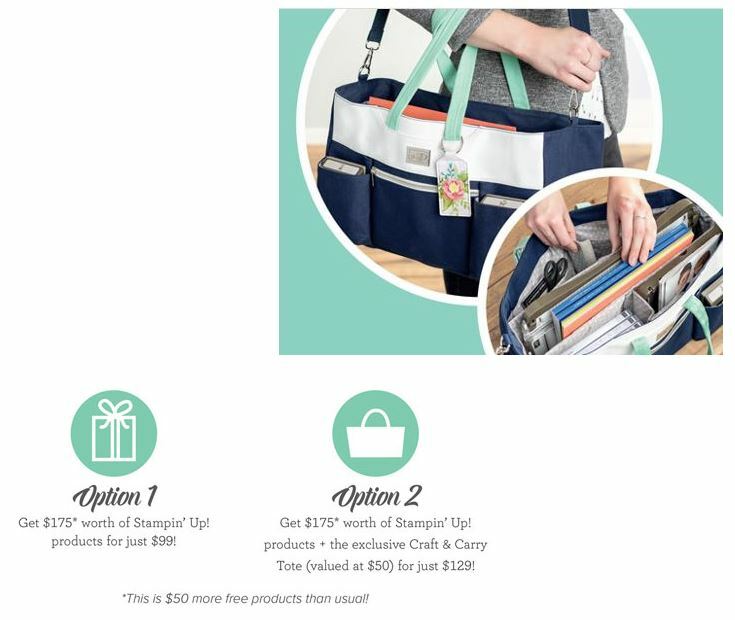 E-mail me at Stampfunatics@gmail.com or call me at 704-517-9945 and let's get you on your way to saving more on your products. I am here to support you and your stampin hobby, or if you want to go farther and make this a business.